Every second counts on the job. That’s exactly what inspired us to create the hilmor Quick-Engage Flare and Swage Kit. It’s all about easy. Just push down the yoke to engage the tube, and with fewer rotations than your current tool, you’ve got a precise flare or swage. An innovative spring-loaded block holds the tube firmly in place. A tube-stop arrow easily identifies the correct height and position of the tube (goodbye, nickel). And our ball detents ensure proper and precise alignment. All told, this tool offers more convenience and less frustration. Allows for faster flares and swages because it requires fewer rotations. A clothespin-inspired, spring-loaded block grips the tube securely. A tube-stop arrow slides to set correct height and positioning, while ball detents allow for easy flaring cone alignment. Tube Sizes (O.D.) 3⁄16", 1⁄4", 5⁄16", 3⁄8", 1⁄2", 5⁄8", 3⁄4"
Product Dimensions Length: 8.5", Width: 4.6", Height: 7.5", Weight: 3.5 lbs. 2632 people found this review helpful. 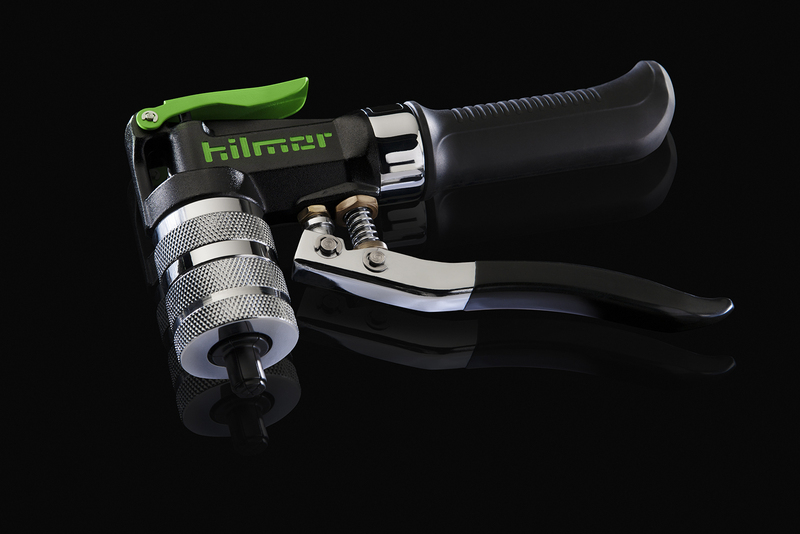 The best HVAC tool I have, cant wait to get more hilmor tools!